You may doubt that the Unbelievable Pocket Chain Saw ($18) can easily cut through limbs, branches and shrubs, but after you try it, it'll make a believer out of you. 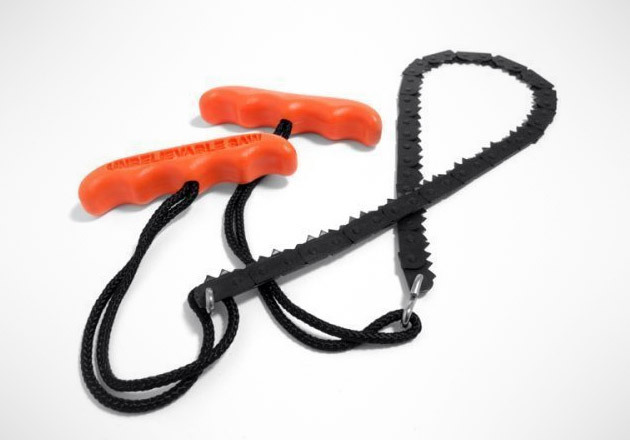 This chain saw is lightweight, totally portable and can roll up to fit in your pocket or backpack. It's made of high strength, heat treated steel with rust-resistant coating and features a 21-inch saw blade equipped with 92 bi-directional cutting teeth that cuts in both direction.